The Yoga Dashma is the perfect length with space to perform all yoga poses comfortably, while still having enough maneuverability to turn. 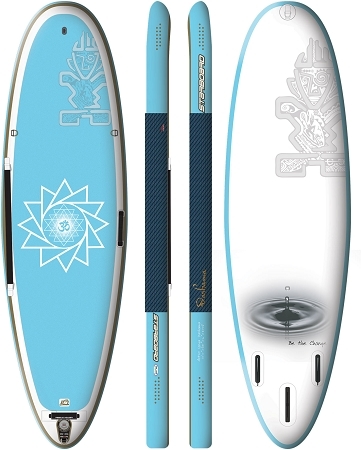 It’s built on the Whoppers 35” width, offering a stable platform to try more progressive poses yet maintains paddle efficiency. 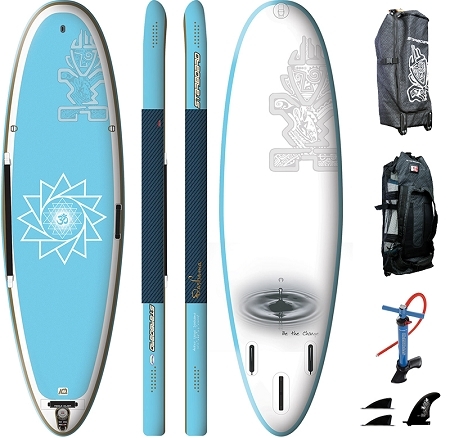 Now Featuring a Full grip deck pad, comfortable bungee carrying strap, tail paddle holder and fitness rings on the deck to use fitness straps for Pilates and other core workouts. Available in Starboard Astro Deluxe Technology. This year’s Yoga Dashama shares the same shape as the Astro Whopper Deluxe. To see more about the construction and whoppers versatile shape click here.